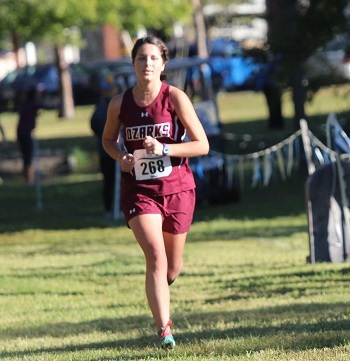 Congratulations go out to Adeline Holder on being named this week as the Association of Independent Institutions Women's Cross Country Runner of the Week. Holder collected tenth place out of 99 runners with a time of 20:08.9 in the St. Louis Fall Classic this past weekend. Holder posted her best time of the season, as she helped the Lady Bobcats to their best 2018 finish to date, placing 5th out of 12 teams with a team time of 1:44.22.